An Apple TV 4 running tvOS 10.0-10.1. Support for tvOS 9.1 will come later. Support for tvOS 10.1.1 will come never. A USB-C cable to connect the Apple TV to your computer. The aforementioned computer, running Mac, Linux or Windows. The liberTV jailbreak app and the Cydia Impactor application. 1) Connect your Apple TV 4 to your computer via USB-C.
2) Download Cydia Impactor for Mac, Linux, or Windows to your computer, and open it. 3) Download the liberTV app. 4) Ensure that Impactor is showing your Apple TV as connected in its interface, and then drag the liberTV.ipa file onto the Impactor window. 5) Hit Start and Impactor will prompt you for your Apple ID and password. Enter them. If you have two-step verification turned on for your Apple ID account, you cannot enter your normal password. Instead, log in to the Apple ID page, and request an app-specific password. Enter that into Impactor in the password field. 6) Impactor will now push the jailbreak app to your Apple TV 4. Once it’s complete, disconnect the Apple TV from your computer and connect it to your TV via HDMI. 7) The liberTV app should now be visible on your tvOS home screen. Launch it. 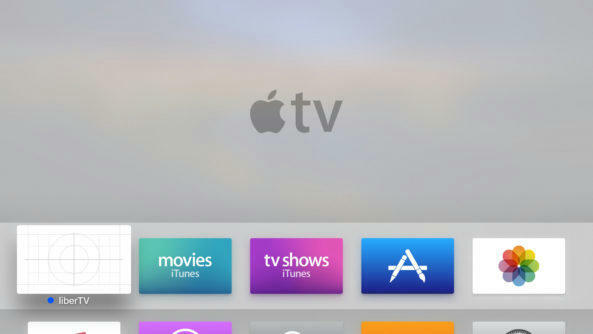 8 ) On the following page, select the options you want to use to jailbreak your Apple TV. I recommend selecting all of them for the full experience, but a less powerful subset can be selected if required. See the image below for my recommended settings. 9) Hit the Do it! button at the bottom of the screen and wait. The app will try to jailbreak the device. 10) At this point, it will either fail and reboot, or report the device successfully jailbroken. If it fails, simply launch the app again and retry; it is normal for the app to fail some percentage of attempts. 11) Once the app reports that the device is jailbroken, you are done! You can now SSH into your device with Dropbear, sideload apps, and generally do as you will.